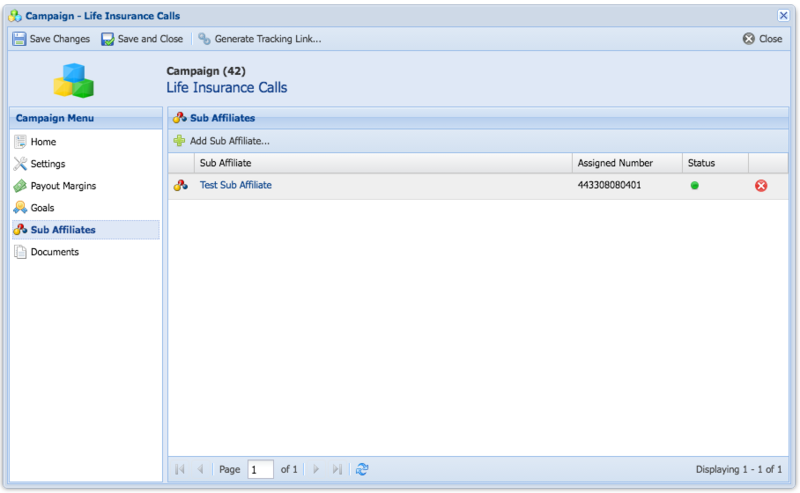 Assigning Tracking Numbers to Sub Affiliates can be done in the Campaign's Window. From the Main Menu, Click on Affiliates -> Campaigns. Open the Campaign Window by clicking on the Campaign Name. From the Campaign Menu, Click on Sub Affiliates. Click on Add Sub Affiliate... or Click on the Sub Affiliate's Name. 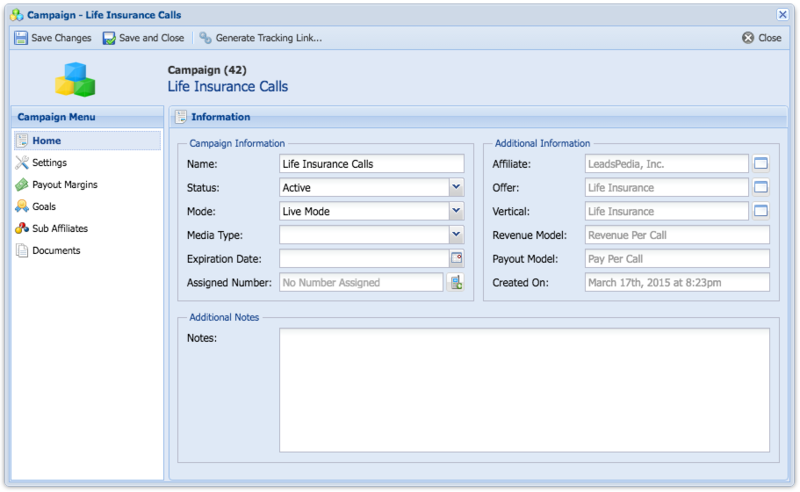 From the Phone Number drop down, select the Tracking Number you want to assign to the Campaign. LeadsPedia is a SaaS performance marketing platform bringing Affiliate Management, Lead Distribution, Call Tracking & Routing all into one unified platform. Unifying these business functions under one platform connects data normally found separated into silos, simplifies business processes and provides easily scalable solutions for businesses to grow.